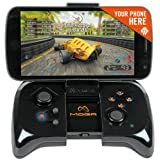 Why invest in a quality gamepad for your computer? Unlike consoles, PCs represent a great investment on the long term. You can upgrade components, swap parts and also perform different Internet activities which would not be possible on a console. However, PC players often find themselves confused with having to play exclusively via a keyboard and mouse. This is a first reason to start considering a PC gamepad. When shopping for a quality gamepad there are few things you have to keep in mind. Think about whether you prefer to play action/adventure/racing games or strategy games. If it’s the first case scenario, then you need to invest in a quality gamepad. If it’s the second case, then a keyboard and mouse will work better. Gamepads can be plugged directly into a computer, allowing you to customize buttons as desired for any game. However, not all gamepads feature the same characteristics. This is the reason we used a couple criteria to rank and evaluate the best products for you. Best PC gamepads will have all controls that you can find on a console gamepad. Most of these computers come with customizable action buttons, while some are wireless-based enabling you to take part in the action without having to connect the USB cable every time. Certain features are more important such as vibration feedback, analog vs digital and pressure-sensitive triggers. A gamepad bust be comfortable and simple to use at the same time. Gamers wish for a familiar interface in most cases, hence why we compare PC controllers with the one designed for consoles. We also take into account their ergonomic features, as the very best PC controllers feature rubber grips and are very comfortable to hold in hand. Controllers which work on more than one device are to be preferred. Compatibility with each Windows version is to be taken into account, as well as their overall interaction with the system. Support may not seem like such big thing when speaking about plug-and-play devices, but sometimes you may have certain questions about the gamepad that needs to be answered. Support includes not only FAQs, but also user manuals and live assistance from the manufacturer. If you choose to play games on PC with the aid of a dedicated gamepad, then you will see the difference in terms of playing style and gaining achievements. Most of those who switched from a regular keyboard and a mouse to a dedicated gamepad noticed big performance improvements in their playing style. Are you a fan of the Xbox One console and its ergonomically-designed controllers? If so, then you will certainly be more than happy to see that a company released them for PC too. They benefit from the same functionality as their console counterpart and feature big, clear buttons which enable users to get the most out of their favorite games. Playing titles such as Mortal Kombat or Super Meat Boy becomes incredibly fun with the aid of this device. The analogue sticks of this model have been greatly improved over past models (Xbox 360 Controller), enabling users to benefit from tighter responsiveness and snappier control. Although there is no wireless connectivity, users can rejoice from a micro USB port which is attached hassle-free to the device. This gamepad looks and performs excellently even in complete dark conditions thanks to the reflective Xbox logo, colorful reflective buttons and tight feel of the device. It is the most popular and successful gaming controller in the market. If comfort is what you are looking for, then you will definitely be pleased with what the Xbox 360 gamepad has to offer. It comes in 2 versions: wireless and wired, bringing the joy of console-quality games to PC users who are no longer tied with having to use TV screens. This 360 controller features a truly great ergonomic design, being assembled in such manner that users won’t feel arm fatigue even after long hours of use. It also comes with vibration feedback, prepacked drivers for Windows Vista, 7 and 8 as well as a long USB cable (in the wired edition). Those who nominated Xbox 360 for a design award were pleasantly impressed with the nice feedback of buttons, although some still complain but the inclusion of a D-pad. It comes with great driver support, allowing gamers to play all their favorite PC titles just as they would do on a dedicated console. Responsive is top-notch when it comes to this device. The PlayStation 4 dual analog controllers were greatly praised by experts, and now PC users can benefit from their same enhanced feel for only a small price. It even features the new multi-touch surface which originates from PS4 and greatly expands in-game movements and action possibilities. This controller is completely wireless, meaning that users don’t have to connect any cables at all in order to get it work. It also comes with a built-in speaker and a headset jack which makes gaming a lot more realistic and fun. 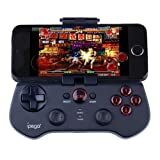 Those who choose to purchase this controller can forget everything about poor gaming performance as this gamepad helps anyone makes the most out of favorite games. It comes with enhanced vibration, a dedicated light bar which shows information about nearby players or low health as well as a dedicated Share button, which is used for connecting game activity to your Facebook account. Logitech gaming controllers are known for rotating quite frequently, but Rumblepad 2 is an exception in this regard receiving plenty of positive feedback from users in regard to its shape and functionality. These gamepad models are compatible with all recent Windows system including Windows 8 and Windows 8.1, with dedicated drivers being provided in this regard. Users can easily customize buttons and make them function in the desired manner. Each of these controllers was designed with some aspects of the Xbox 360′ controller in mind, including the curves and comfort. However, it also burrows some elements from the DualShock 3 including the analog stick and button layout. All these gamepads work smoothly and provide top comfort even after long periods of use, however this certain aspect relates to everyone’s way of using them. Users appreciate very much the fact that these gamepads come with an option to control layouts and switch buttons for thousands of games, each of them being customizable in this regard. Razer Sabertooth is known to be a third party controller that is both PC and Xbox 360 friendly. This is mostly due to its generous dimensions and the fact that it manages to keep overall weight to a minimum while providing ergonomic comfort at all times. There are also plenty of features included in the box. Users can adjust sensitivity related to Sabertooth sticks and backlit buttons, and there is also a solid click and feel to each of them. Rocker triggers present themselves firm out of the box, with the PC controller having an extra set of triggers located right underneath the controller. All buttons (even the extra ones) are completely programmable and there is native support for an OLED screen at the bottom in some models. All Windows editions are supported right out of the box. The Sabertooth is built on largest part on an Xbox 360 approach, users praising it for its firm buttons, customizable tasks and thorough build quality. Furthermore, it also improves some aspects of the Xbox 360 controller, including problems with the D-pad which users often report. Thus, if you’re looking for a great price/quality report, then you should definitely pay a look to the Razer Sabertooth model. Currently, this gamepad retails for under $100. The SNES super Nintendo Controller is built for anyone who is a fan of old-school gamepads. It comes with a classic Nintendo feel to it, featuring the well known 8-way direction pad plus 2 & 6 buttons respectively which can be customized according to user preferences. Users report some compatibility problems with the Windows 8 platform and it’s unlikely for this gamepad to function with any 1st or 3d person shooters, but it’s nevertheless a great controller for the older classic-style games. If you are truly on a budget and cannot afford to spend more than $25 on a PC controller, then we present you some gamepads which albeit they do not exceed in terms of design and polishing, they still manage to provide the best bang for the buck. This controller might not be the best-looking one, but it certainly manages to accomplish most gaming tasks. If you can live with some little button stiffness and limited movement of the analogue sticks, then this gamepad might just work great for you. It comes with a set of 12 buttons which can all be customized as well as a set of L+R rear buttons which serve movement purposes in the games. The cable is extra long, allowing you to control the computer from even 10-feet away while compatibility with all Windows systems is assured. Already own a set of Xbox 360 controllers but need to recharge them quickly and with no hassle? If so, then you need to have a look at the Nyko Charge Base 360S which comes with a modern design, LED indicators and even rapid recharge functionality, thus allowing you to rejoice from your favorite games as soon as possible. This wireless gamepad imitates the more expensive Xbox 360 controller, but the difference relies in the cheaper plastic used in its construction and the absence of rubber grip points. Functionality is largely maintained at same levels, cable length being of approximately 6 feet while power on PC is assured via USB 2.0 ports. If you choose one of the above gamepads and even one of the cheaper models you will not be disappointed. All of them were manufactured with the latest international requirements in mind and will guarantee you a smooth gaming experience, which in most cases will be better than the one offered by a mouse and keyboard.